summary: Out with the old, in with the new. I've recently upgraded from my old Spot Tracker device to a brand new Delorme InReach Explorer. With a trip coming up later in the year to Nepal to scale the heights of the tallest mountain range in the world, I decided it time to look into replacing my aging SpotTracker. Initially I was just looking to see what was out there, later I realised that the Spot was not actually going to work in Nepal due to satelite coverage issues! Enter DeLorme. This companies device utilises the Iridium satelite system which boasts a 100% coverage of the planet - which should be good enough for what I have planned! 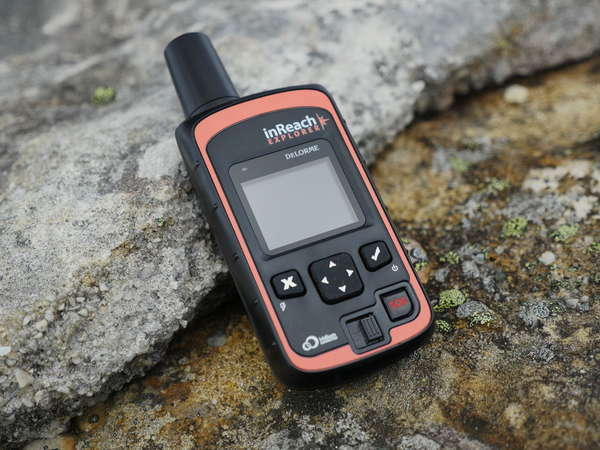 The device I chose was the InReach Explorer - pretty much their top model in the mobile device area. It provides all of the things the SpotTracker did, PLUS having a built in screen, with maps, and the ability to send emails and text messages direct to anyone, anywhere on the planet. Some additional features include a lovely interface on your smartphone when paired over blue tooth, two-way text messaging (yes people can reply to your messages) and detailed track logging. So now I can take this one device with me and use it for all my location based needs, including live updates to my website and detailed track log recording for when I get back home. 2015-04-03 08:33:13 Amazing sunrise this morning as the sun burnt off the clouds. Now clear blue sky above for my climb of The Big J. 2015-04-02 13:59:29 Let the walk begin! Weather looks like rain on its way, quite windy too. No cars in carpark. Plan to get up on farm ridge tonight. You can check out my latest trip where I used the device (ok still some getting used to it) but it did perform pretty well Jagungal Camping. And the live blog entries will appear on the map as blue icons as shown in the GPS section bellow.